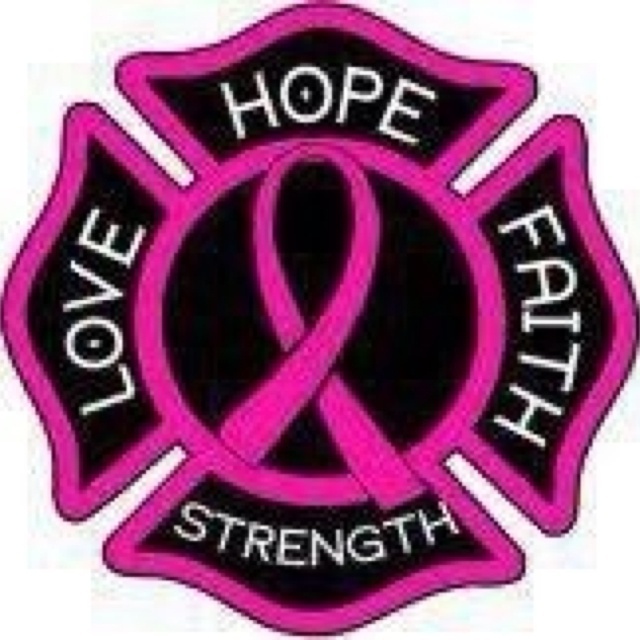 Globally, every three minutes one woman around the world is diagnosed with the common disease known as breast cancer. Every year, about 1 in 8 (about 12%) women in the United States alone will develop invasive breast cancer over the course of her lifetime. Statistically, more than 95% of women in the United States alone who are diagnosed with breast cancer are over the age of 40, and someone you know. On January 9, 2007, I lost one of the most extraordinary and influential sisters in my circle to this second leading cause of death among women. Since that time, I’ve lost several others. My sister-friend, Queen, anchor-in-the-wind Dyan Adams, taught me one of the most valuable lessons I will ever learn: awareness is the key that opens the door to staying in the boat. 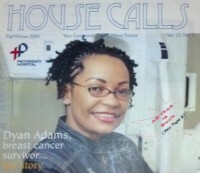 Dyan was a respected make-up artist, esthetician, mother, friend to all who knew her and dedicated breast cancer advocate residing in Washington, D.C. A hero and a messenger, she discovered both her passion and purpose through her own diagnosis and advocacy, to communicate the importance of early detection to women all over the world. After watching a close friend loose her battle with breast cancer, Dyan became resilient and dedicated to performing her own periodic self-examinations. After a few mammograms that tested negative and implementing some of her own initiatives, she visited her holistic doctor for clarification and insight. After several more tests and conclusive results, things got quite blurry for Dyan. She was then forced to go inward in stillness to attain the peace she was seeking. A cosmetologist by trade, Dyan specialized in body and facial massages and promoted an array of products that customers could administer on their own initiative. Her mantra for the spa and a conviction she devoted to all, “Come in Pieces…Leave whole” became her spiritual trademark and legacy. She believed that humble hearts could be interconnected, fragmented spirits could be mended, and life was full of creativity, connection and commitment. By honoring her beliefs in God she was able to share with many and connect with most. Dyan’s journey was a purposeful one. The race was rapidly approaching on June 4, 2005 in Washington, DC. It was yet again, the Annual Susan G. Komen Breast Cancer Foundation, National Race for the Cure. Dyan was gathering up the crew for the big day – hers and ours too. The day would begin as early as 5 o’clock so she welcomed a sleepover. She became a team sponsor and established her own Internet page for registrations. I encouraged as many sister-friends as possible to engage, sign-up, polish their running shoes and get ready for the big 5-mile challenge. We all wanted to support the cause but more importantly, we wanted to support Dyan in her personal journey as a breast cancer survivor. Everyone was someone to Dyan. A beautiful reflection of love and light, she honored old friends and cherished new acquaintances. I never recall her being reluctant to share her story, her faith, her home, her resources or even the blemishes from her mastectomy with family, friends and strangers alike. For as long as I can remember, Dyan appreciated the road less traveled and never once resisted to share her knowledge, love and consideration for others. Over time, I have discovered that the relevance of our journeys is rarely about us. Our lives are much more substantial than they ever appear. Those around us reflect who we are and where we are on this journey of consciousness. It was more than seven years ago that I began to fanatically fall in love with the color PINK when Dyan illustrated to me how to flaunt its’ true exquisiteness. She revealed her fear – flight – and faith in overcoming her diagnosis of breast cancer. I was amazed by her dynamic spirit of resilience and determination to battle the disease with a strong sense of certainty. Every October is ardently dedicated to the annual international health campaign known as National Breast Cancer Awareness Month or NBCAM. This month NBCAM celebrates 29 years of dedication to the awareness, education and empowerment of this cause. This worldwide campaign offers information, research, and support to those affected by breast cancer, as well as provides preventive attentiveness to others and in efforts to finding a cure. These decreases are thought to be the result of treatment advances and earlier detection through screening and increased awareness. Surprisingly, about 85% of breast cancers occur in women who have no family history of breast cancer. These occur due to genetic mutations that happen as a result of the aging process and life in general, rather than inherited mutations. In Western countries, 89.2% of women diagnosed with breast cancer are still alive 5 years after their diagnosis. In the U.S., breast cancer strikes Caucasian women most often, followed by African American women, Asian American and Pacific Islanders, Hispanic or Latina, and Native Americans. However, African American women are most likely to die first. Every October during Breast Cancer Awareness Month, communities raise funds, devote their time, and employ fundraising walks and a variety of global activities, from the United States to Australia, New Zealand to Romania, in an effort to engage in this pink passion of awareness, empowerment, and LIFE. Organizations such as Ride to Empower, Susan G. Komen For the Cure, Breast Cancer Network of Strength’s, National Cancer Institute [NCI], Men Against Breast Cancer [MABC], American Cancer Society [ACS], and even the National Football League [NFL] fully support the research and continued initiatives for breast cancer awareness. Every personal encounter we embrace in this life has its own decree of divinity. There is a reason, season, or lifetime lesson to be gotten. Dyans courage and conscious conviction saved hundreds of women’s lives today. She shared a vast amount of knowledge with me and many women on early detection and diagnosis. Her quest to embrace her own journey and minister to hundreds of women, young and old, is a testamony to her legacy. Here are some ways that you can begin your opportunity for advocacy. 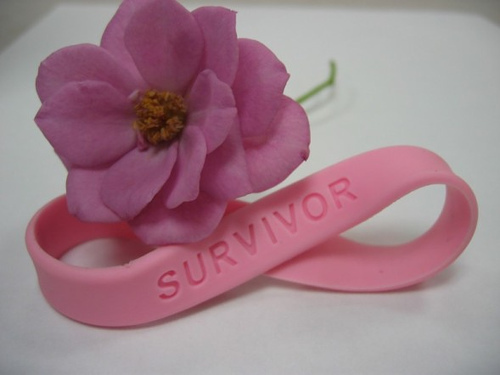 Today, there are more than 2.8 million breast cancer survivors in the United States. love, light, and awareness for your journey! A memoir of Dyan’s breast cancer journey can be found in the inspirational book “Tuesday Morning Love: 52 Commentaries and Weekly Affirmations to Honor the Soul within the Souldier”. Dyan Adams public interview can be found in the WUSA Channel 9 Archives. For more commentary on breast cancer awareness, please reference October 19, 2010 – The Power of Pink: A race and space for healing and October 4, 2011- Take Courage w/Wanda Sykes. Previous PostSeptember 23, 2014: The Sound of SilenceNext PostHappy 5th Anniversary Tuesday Morning Love!